PHOENIX, Aug. 28, 2018 /PRNewswire/ -- Republic Services, Inc. (NYSE: RSG) today released its 2017 Sustainability Report, demonstrating the Company's commitment to providing regular reporting on its sustainability initiatives and progress. The report details the Company's sustainability strategy and achievement of its time-bound goals set in 2014. "At Republic, we understand that we play a critical role in helping more than 14 million customers lessen their environmental impact," said Don Slager, president and chief executive officer. "We also recognize that as we grow the business, our responsibility as environmental stewards grows — along with our potential for even greater impact. This is a source of pride for every employee, because our customers — and the communities we serve — can count on us for solutions that are responsible, reliable and resourceful." Energy: Develop at least two landfill gas-to-energy projects per year through 2018. This goal was achieved in 2017. Recycled Commodities: Add an additional 150,000 tons or more per year of recycling capacity through 2018. This goal was achieved in 2017. Fleet: Reduce absolute fleet emissions by 3 percent from direct operational impacts (Scope 1 emissions) through 2018. This goal was achieved in 2017. Safety: Reduce OSHA recordable rates by 7 percent year-over-year. This goal is on track. For over a decade Republic has made investments in Compressed Natural Gas (CNG) trucks and fueling stations, which are cleaner burning and quieter than diesel trucks. Republic's continued investments in CNG trucks and fueling stations have enabled the Company to begin making a seamless transition to Renewable Natural Gas (RNG), which has the lowest carbon intensity of all the alternative fuel technologies on the market today, according to the California Air Resources Board. In 2017, Republic collected over 8 million tons of recyclables and processed more than 6 million tons at 90 Recycling Centers nationwide. In addition, Republic is delivering solutions to customers in response to an industry-wide recycling crisis. Last year, Republic gave $7.1 million back to the communities it serves. In addition, Republic employees, board members and suppliers gave over $4 million in funds, food, supplies and housing to support employees affected by hurricanes. Since 2009, Republic drivers have won 75 percent of the National Waste & Recycling Association's "Driver of the Year" awards, an honor that celebrates exemplary customer service and superior driver safety records. 2017 was no exception with drivers from the Company's Huntington Beach, Calif. and Phoenix, Ariz. divisions selected by the industry to receive this prestigious recognition. Among many other distinctions, Republic earned 100 percent and the distinction of a "Best Place to Work for LGBTQ Equality" on the Human Rights Campaign's Corporate Equality Index for 2018. 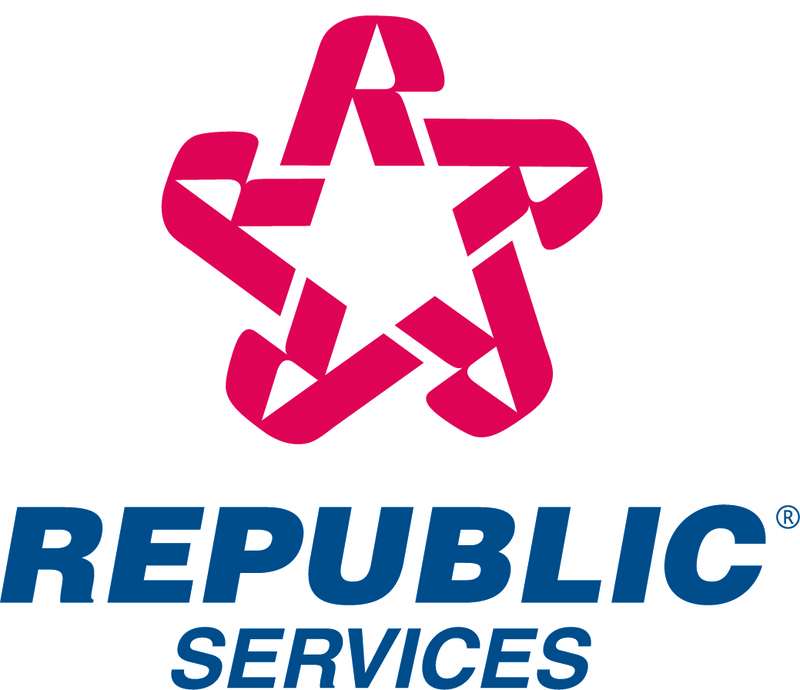 Republic Services continues to steadily build upon its industry-leading sustainability platform while earning notable recognition for sustainability and corporate responsibility achievements, as demonstrated by inclusion for the second consecutive year in both the Dow Jones Sustainability Index (DJSI) – North America and World Indices and recognition on Barron's 100 Most Sustainable Companies list. The Company was also awarded the Gold Class Award in the 2018 RobecoSAM's Sustainability Yearbook and named to the Ethisphere Institute's World's Most Ethical Companies list for the second year in a row. To learn more about Republic's Blue Planet sustainability platform or to download the latest Sustainability Reports, visit: RepublicServices.com/Sustainability. For more information, visit the Republic Services website at RepublicServices.com. "Like" Republic on Facebook at Facebook.com/RepublicServices and follow on Twitter @RepublicService.